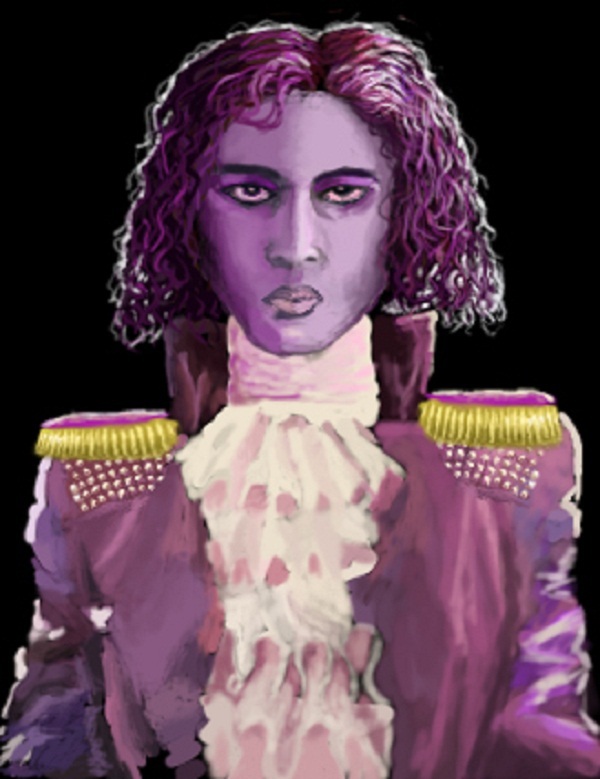 Prince Alias, sovereign of the Kingdom of Velvetia. Comments welcome; I'm still undecided as to which incarnation of this god-king I'm going to go with. Each iteration seems to further resemble late 70's, 80's art-rock legends, especially in the makeup. My subconscious is telling me something. And then I tell it, "Don't be creepy, subconscious." I think the Venn Diagram between feudalism and the lycra-and-giant-wig rockstar is a fertile and somewhat under-plundered ground for irony, humor, and commentary on le nature humaine.